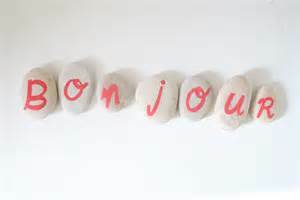 Did you know that 129 million people speak French in the world? It is also one of the 6 most important languages at the United Nations. Age? 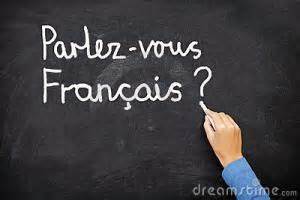 Lessons for current 6th graders with little French and/or 7th graders who need review; will accept the mature 5th grader willing to learn. •Give the students confidence and security to learn a world language. It really isn't that hard if you feel good about it! Cost for the term: 10 one hour lessons, $160 which includes booklet, snack or bring what you like, all supplies for projects done=no other costs involved; We will follow the Howard County Public School schedule. No school, no class unless you hear otherwise from moi. Michelle Dubreuil Macek has a BA in French/Education from Albertus Magnus College, CT and a MA in French/Education from Middlebury College, VT. She studied at the Sorbonne in Paris and has been an educator both nationally and internationally for 30 years teaching elementary school through to university level language courses. She is the recipient of a Fulbright Scholarship to Benin, West Africa, 1995 and spent 14 years living and working in Africa. She is currently employed by the Howard County Public School system and has had extensive training in FLES, middle school and high school teaching. Sign up for LOFT newsletter here!